Vancouver, BC – After being in operation for just over 4 years, Showcase Pianos sells it’s 40th Fazioli piano. The piano was sold in the last week of December 2011, and is a special order ‘Marco Polo’ F212 which is being produced in Italy. 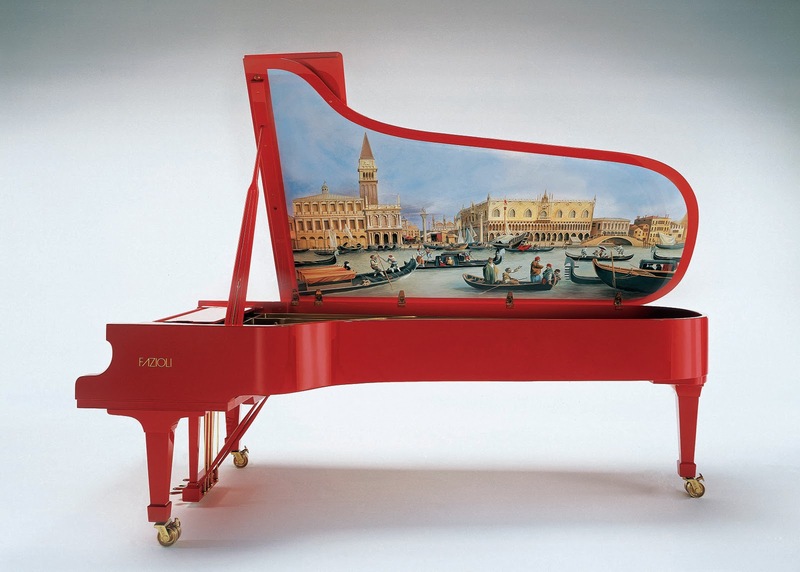 The ‘Marco Polo’ features a work of art under the lid that is custom made for this piano.